Gives flexibility to display a wide variety of apparel! 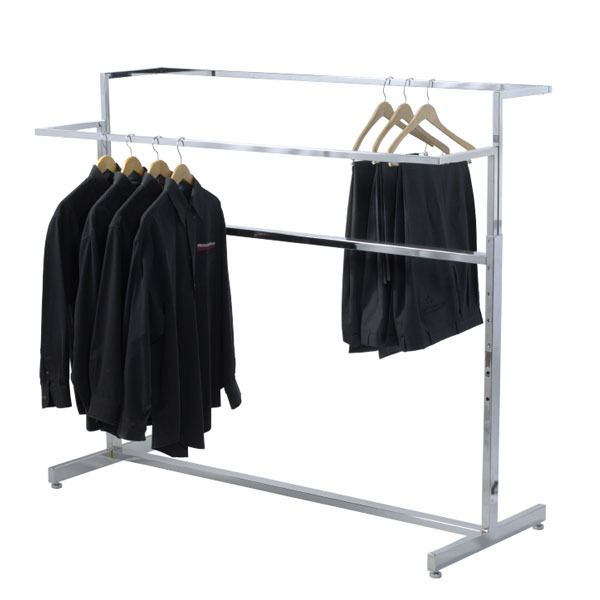 The Double Bar Apparel Rack features a unique contemporary design that gives you the flexibility to display a wide variety of apparel types. 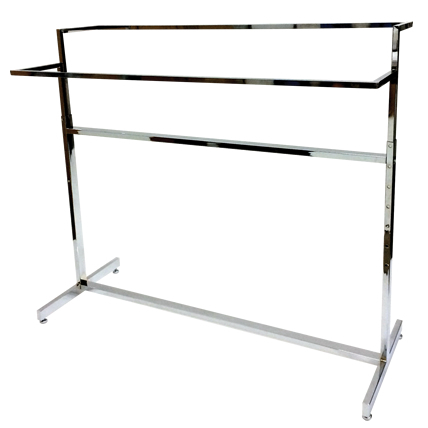 This retail clothing rack features chrome-plated square tubing and two adjustable height bars that adjust from 40 in. to 57 in. to display a variety of apparel. Combine with 2 or 4-way apparel racks to create a sleek, modern display ensemble. Add casters for portability, search items 1024, 1030 or 1015. For even more options, we ask you to take the opportunity to explore our full collection of retail clothing racks for sale at Specialty Store Services now.